Well, I excepted the challenge and this is what I created! I am an old-school video game junkie, and Super Mario Bros is one of my all time favorites. 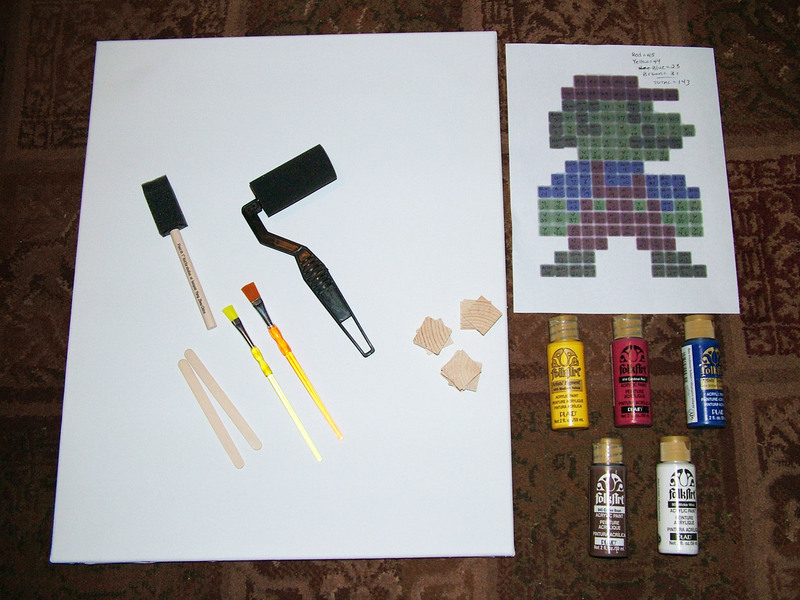 When I discovered the wooden tiles I had intended to use for a different TGAP project were too small, I turned to 8-bit art to help me use them up. 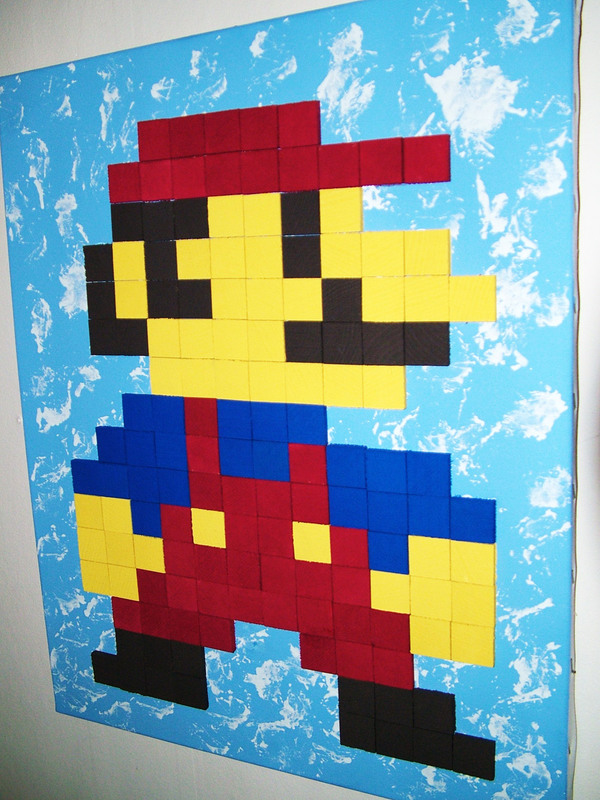 I cut my image of Mario into 1″ squares in Photoshop, printed it out, and counted out my tiles in each color. 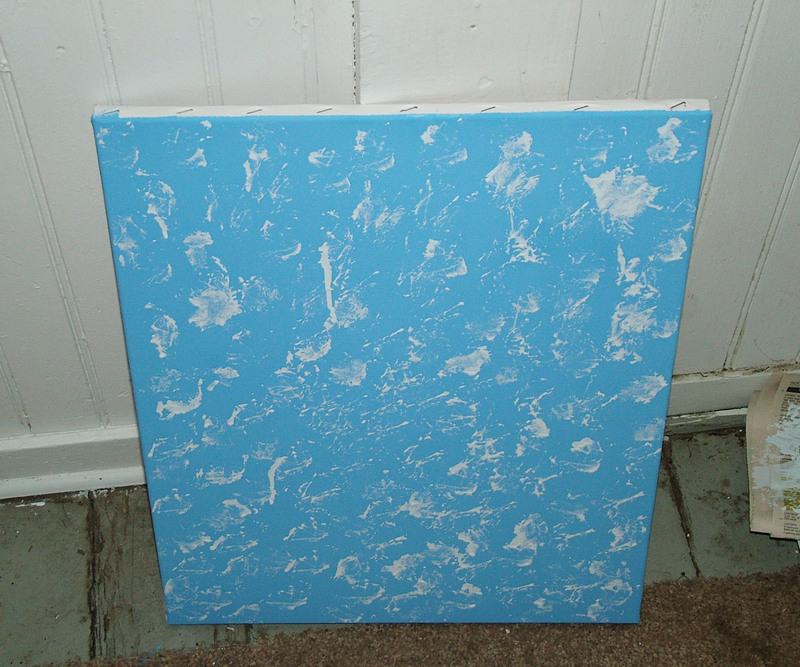 I was going to mount the tiles on foam core, but eventually settled on stretched canvas as I thought it would give the background better texture. I made a thin wash with acrylic paint, water & salt, rolled it on the canvas and let it dry overnight. 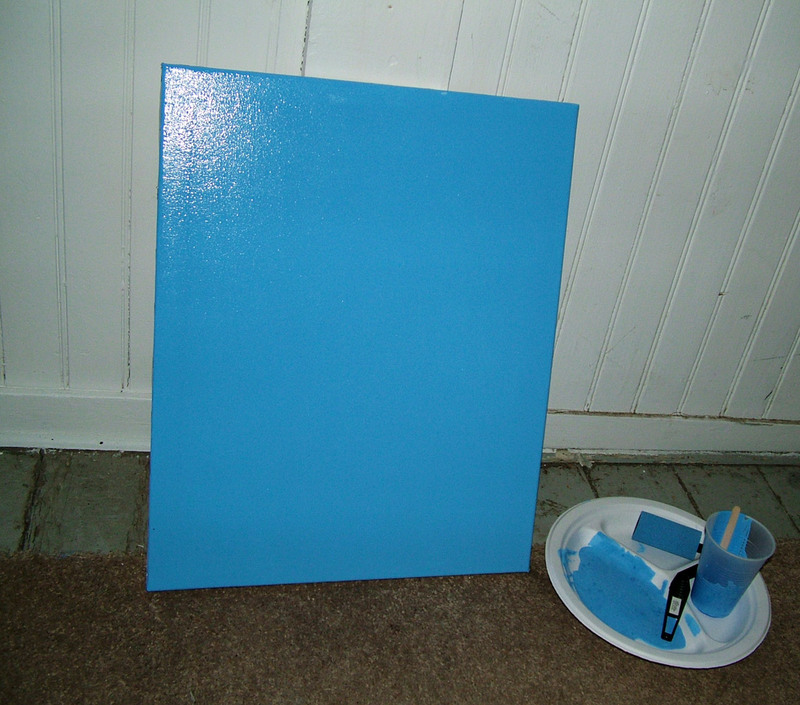 I then made a second wash in white, dipped wadded up plastic wrap in the wash, and blotted it over the blue. I left the canvas to dry again and started in on the tiles. 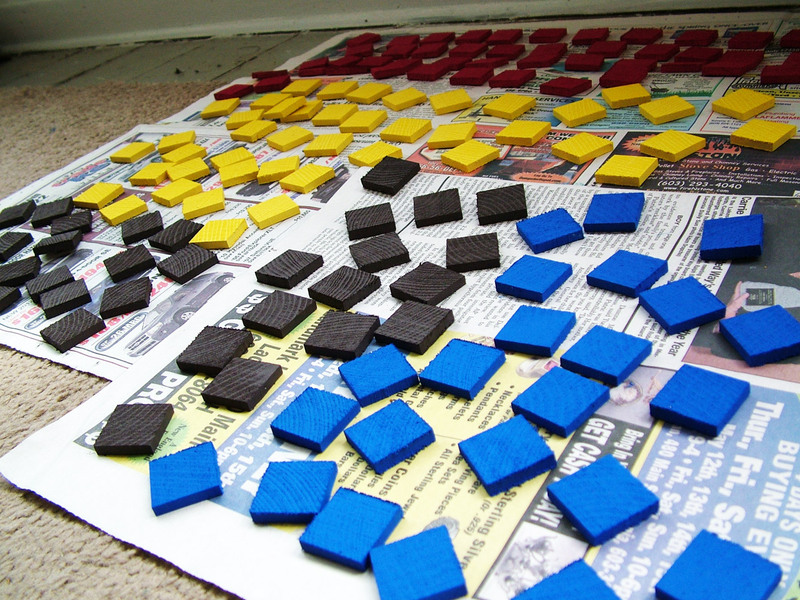 I had 144 tiles to paint, so this would be the most tedious part of the project. 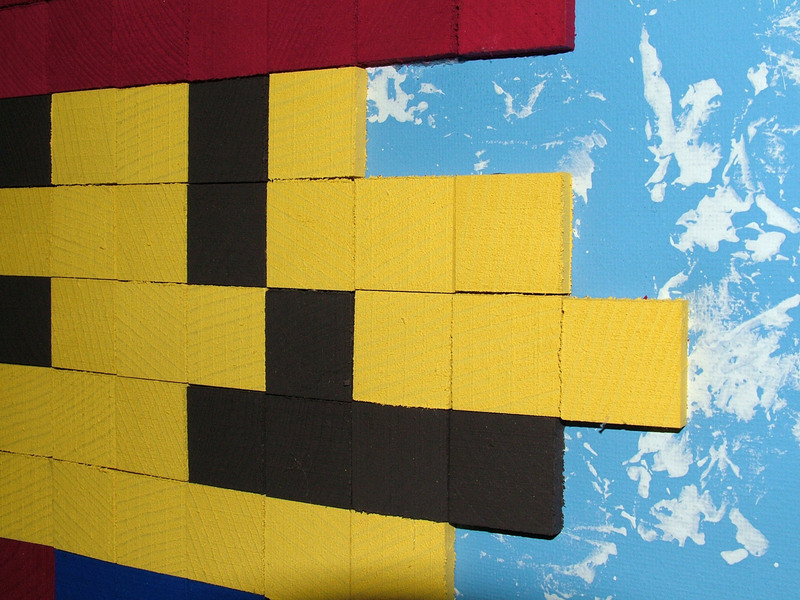 I used a framing square to line up the bottom row and left column and glued my tiles on the canvas from the bottom up. Once I got into a good rhythm with the glue gun, this step went surprisingly quickly. I still have another stretched canvas, so I might just make another homage to Nintendo. Right now I’m thinking Tetris, but I’m open to any suggestions.